Professionals are those who have sought extensive education and training for the purpose of providing a service to others. Being a professional necessitates staying up-to-date with the latest knowledge and practice in one's chosen field. At Hope Research and Practice Institute we provide professional development programs informed by the latest research, and do so using the latest pedagogical technologies. Our programs and workshops are not only innovative and high quality, but also personally relevant. Michael Polanyi, famous chemist and philosopher, said that 'all knowing is personal knowing', and similarly we believe that all genuine learning is personal learning. In this respect, our courses are designed to connect with the learner through material and experiences which are personally meaningful and applied. Apart from providing professional development workshops and short courses, we also work with organisations to design bespoke professional development experiences which meet the current needs of the organisation and its professionals. While an 'off the shelf' CPD program may well be suitable, it may not meet the specific needs of your organisation at a given time. Our experienced team can work with you to develop innovative, purpose-built professional development experiences. Hope is the foundational principle and practice on which we at Hope Research and Practice Institute base our approach to life and work. This is because hope orientates us to the future and provides us with the motivation to envision new possibilities, and create pathways around obstacles. Hope asks, "what is possible? ", and in so doing encourages us to imagine and to create break-through innovations which expand our horizons. It is our goal to design and deliver quality professional development and support, which takes you and your organisation towards a stronger, possibility-filled future. Dr Denis O’Hara is the Director of Hope Research and Practice Institute and Professor of Counselling and Psychotherapy at the Australian College of Applied Psychology, Brisbane. He is also a chartered psychologist with the British Psychological Society, associate member of the Australian Psychological Society and register member of the Psychotherapist and Counsellors Federation of Australia. 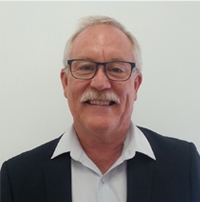 Denis has taught in a number of universities and colleges both in Australia and overseas across faculties of education, psychology, and counselling. He continues his passion for quality curriculum development and teaching via the design and provision of professional development workshops and courses. Denis enjoys researching and writing and is a published author with an extensive list of publications. His most recent book is entitled “Hope in Counselling and Psychotherapy”. Fiona O'Hara is an experienced teacher, lecturer, counsellor, and researcher with over thirty years experience working in diverse settings. 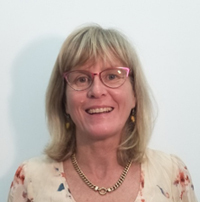 She has developed and taught in a number of tertiary English language, communication and counselling programs in Australia and in the United Kingdom. Fiona is also a practising counsellor and professional supervisor and provides these services both in person and online. She is a member of the British Association of Counsellors and Psychotherapists, the Psychotherapy and Counselling Federation of Australia, and the Australian College of Counselling and Psychotherapy Educators. Fiona is currently engaged in PhD research investigating the nature and application of hope-informed practice.